How do businesses move from creating the business to literally keeping the lights on? 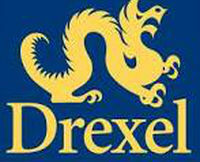 Having unique expertise in the non-profit and for-profit startup realm, The Lenserf Group will share key insight with Drexel University business students. Start up business basics will enable the next generation of business leaders to develop dynamic project plans that will take a small non-profit to its critical next step. Check back, as we look forward to sharing those plans with you…. The Lenserf Group is a project management consulting and coaching firm whose primary goal is to help clients to Exceed Their Potential through excellence in project delivery. TLG provides strategy and executive consulting, project management, and project support services for mid-sized corporations, small businesses, and entrepreneurs. © Copyright 2019 Lenserf Group. All Rights Reserved.